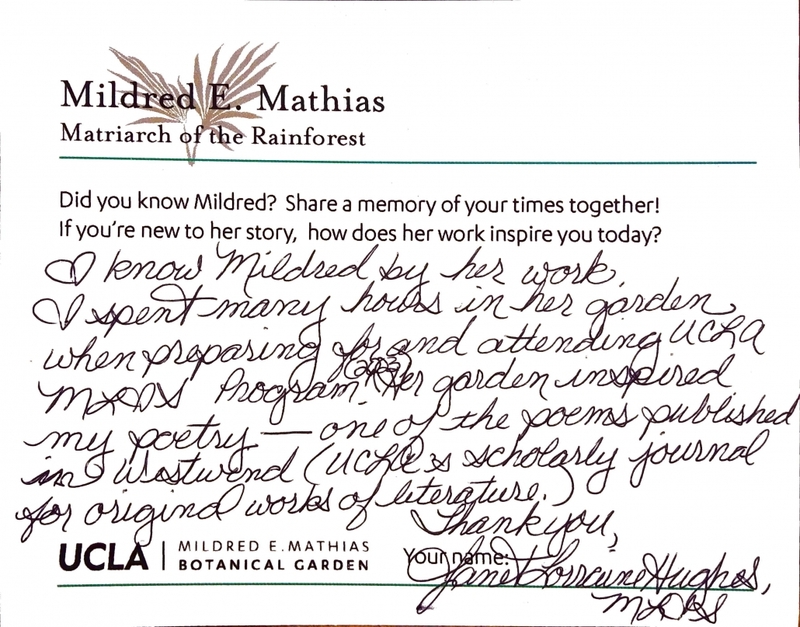 The UCLA Mildred E. Mathias Botanical Gardens has initiated an archival project to celebrate the life and legacy of Mildred E. Mathias. 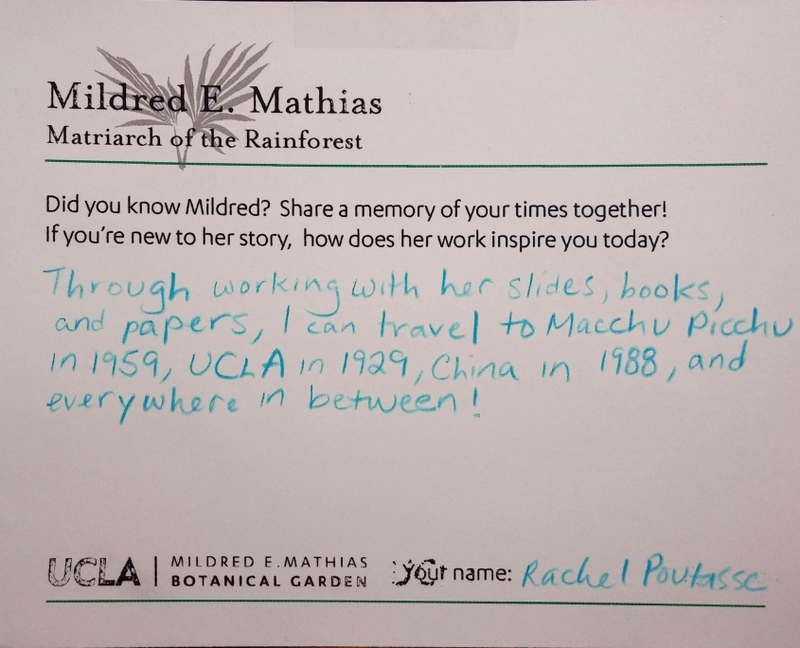 By curating and digitizing the large collection of Dr. Mathias’ photographs notebooks, and recordings as well as those of her former students, associates and admirers, we hope to share how important she was to botanists, conservationists, women in sciences, and beyond. 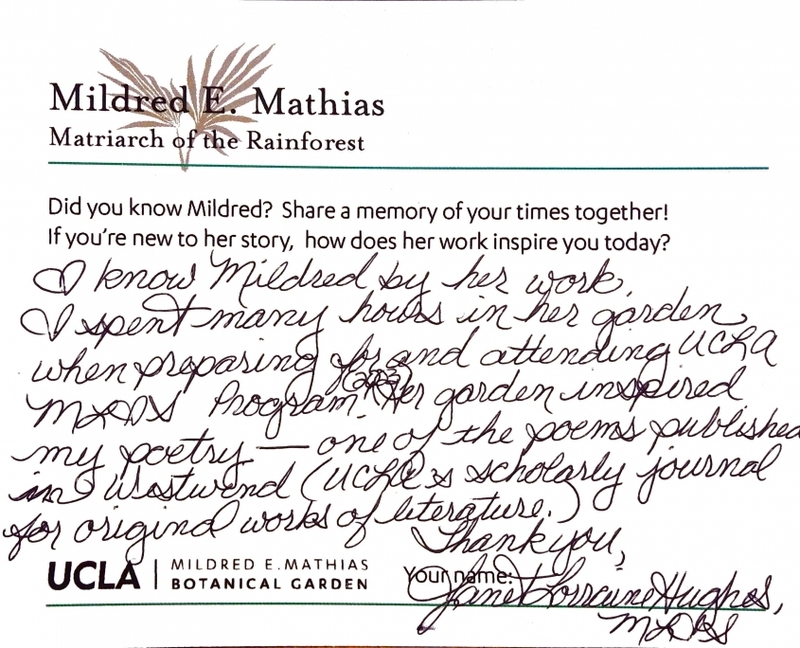 In addition to directing the UCLA Botanical Garden for many years, Dr. Mathias was known for her research in the Umbilliferae (carrot) family, as well as her leadership in the fields of botany, horticulture and conservation. 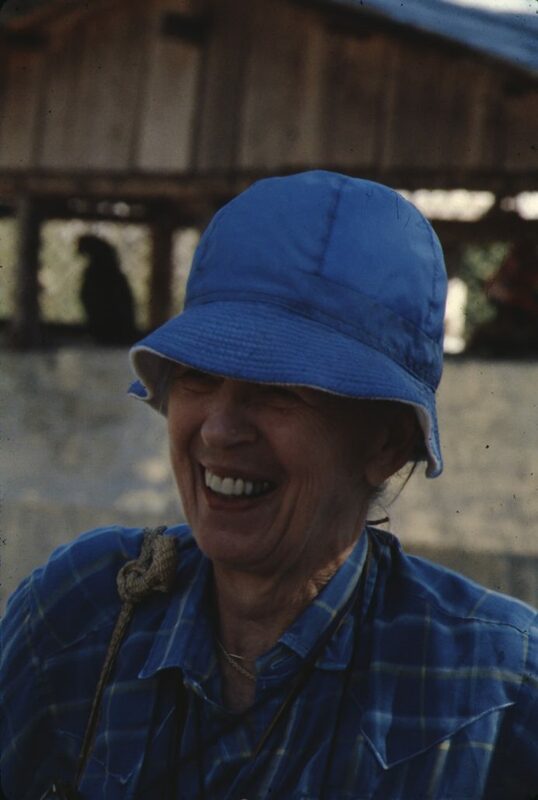 During her career she helped establish major conservation areas in California and Costa Rica, and inspired a love of natural diversity in many students. 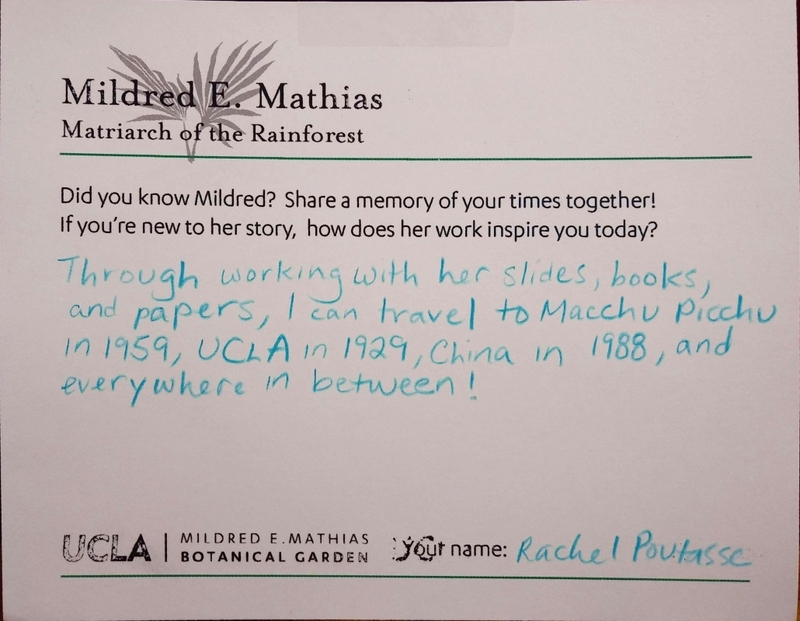 Enjoy two photo collections, Through Mildred’s Eyes: Global Conservation & Ecotourism and UCLA 1952- 1993. 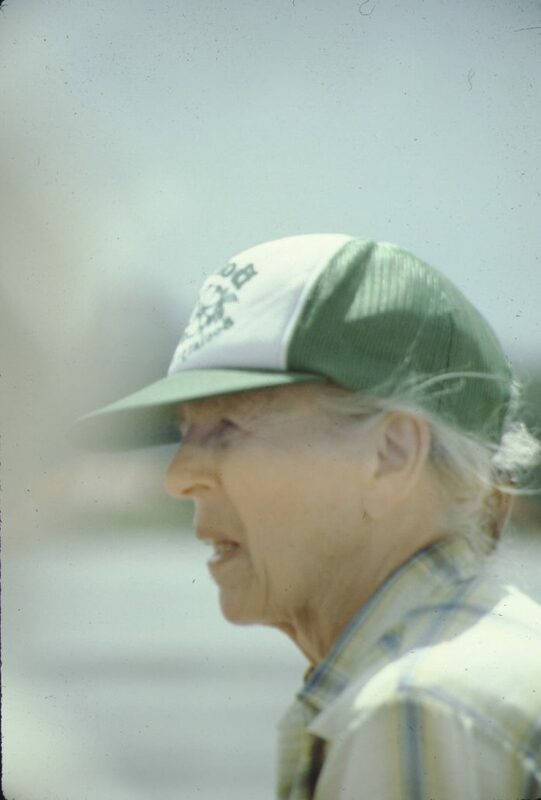 Dr. Mathias photographed these collections throughout her career. 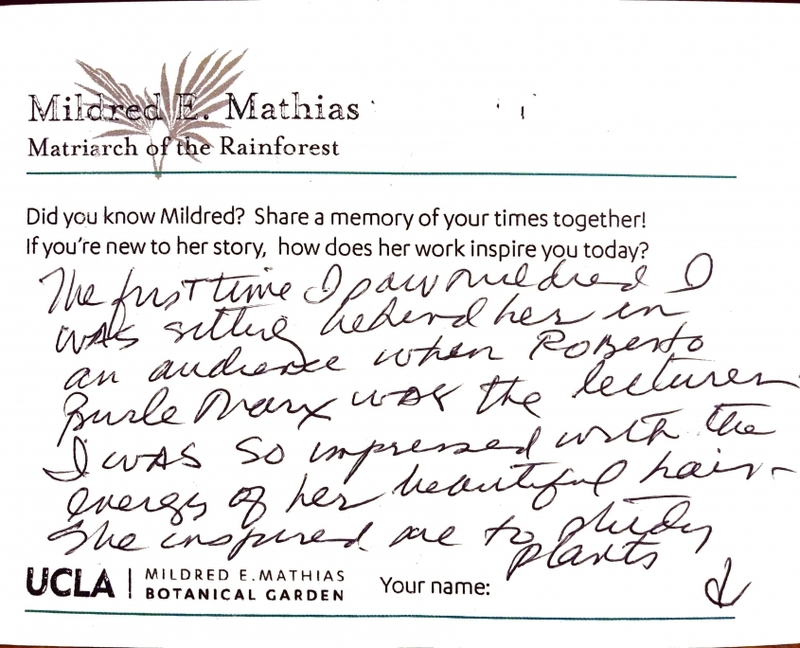 The Mildred E. Mathias Gallery & Bio includes an extensive biography written by former Gardener Director Art Gibson and features photos courtesy of landscape designer Jane Marshall and science illustrator Sharon Belkin, who travelled with Dr. Mathias on trips on Costa Rica and Peru in the 1980s and 90s. 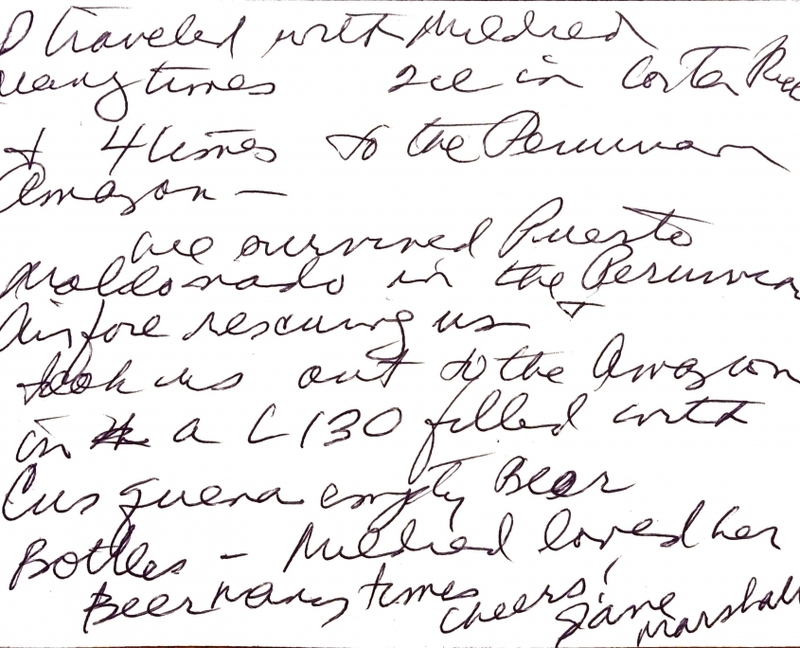 Photographs are selected from J. Marshall and feature pages from S. Belkin’s scrapbook journals. 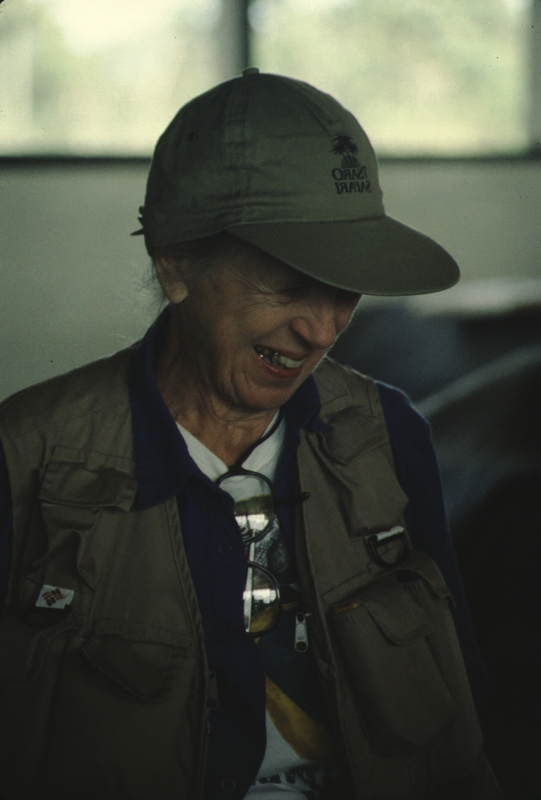 These treasured photos of Dr. Mathias also include some of the people she inspired and worked with, including Charles Hougue, late curator of Entomology at the Natural History Museum of Los Angeles and Arnold Newman, rainforest conservationist and author. 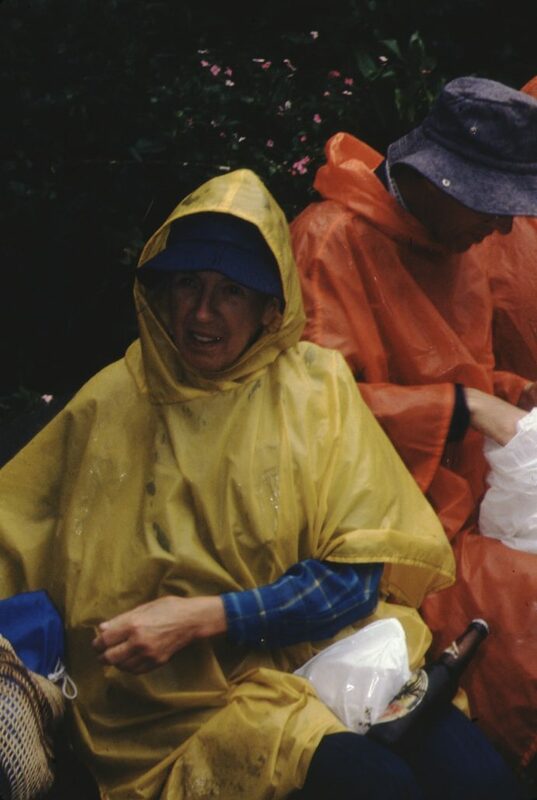 If you recognize a person or place in these pictures, please contact us, we’d love to hear from you! 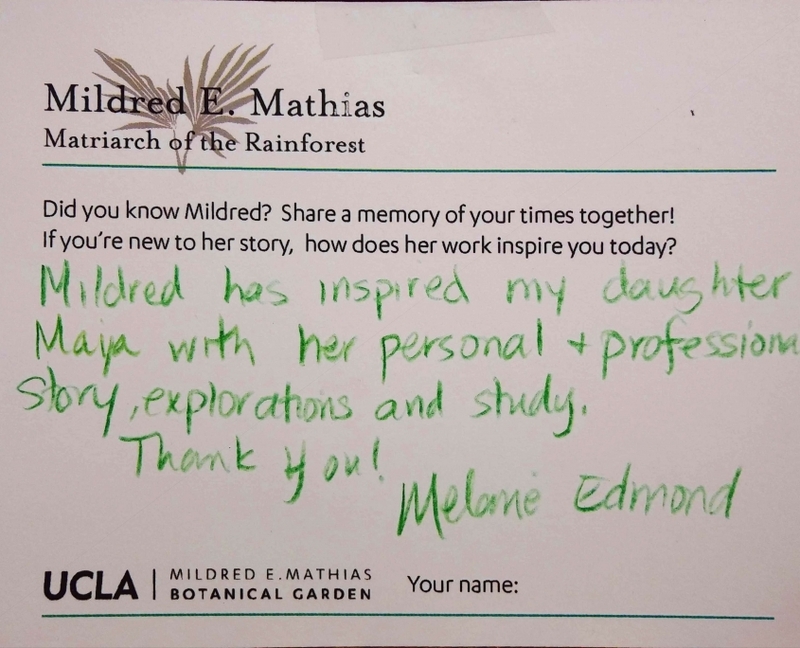 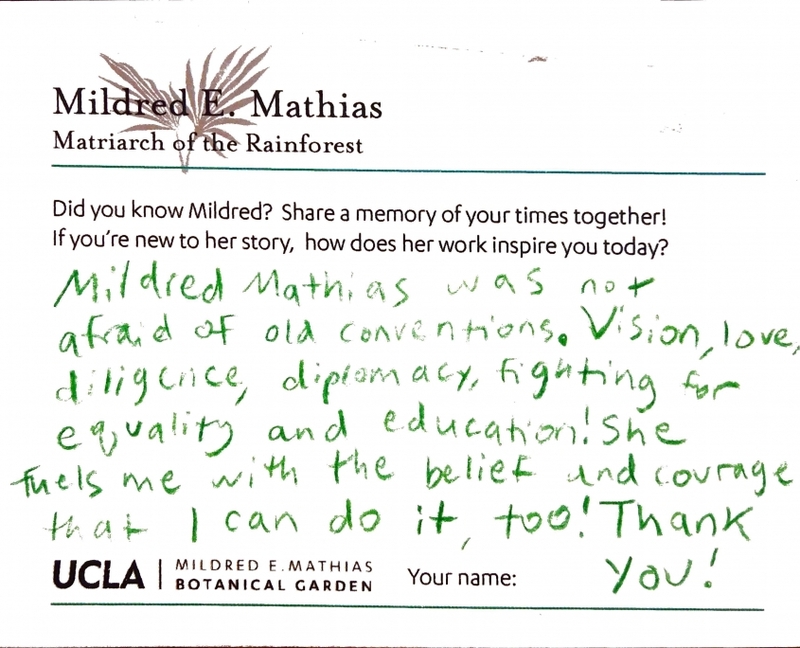 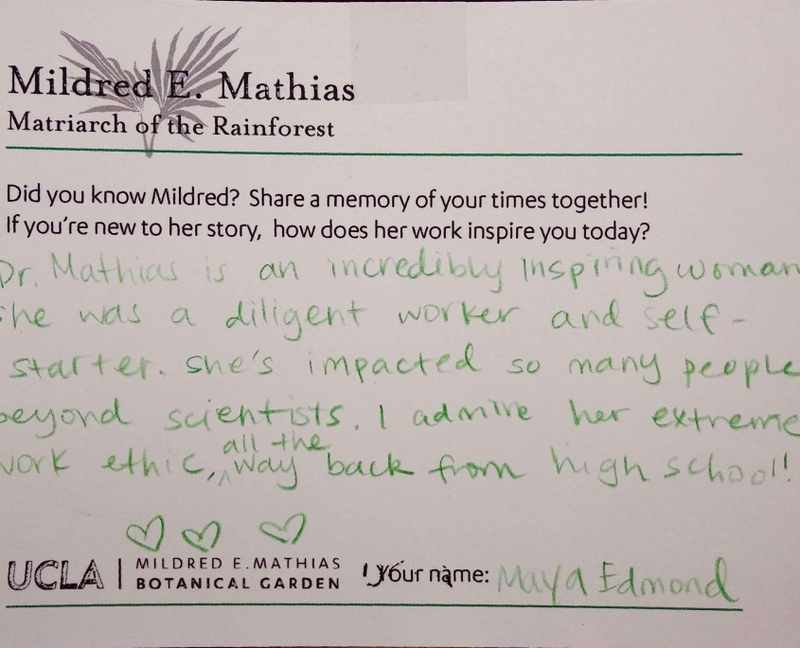 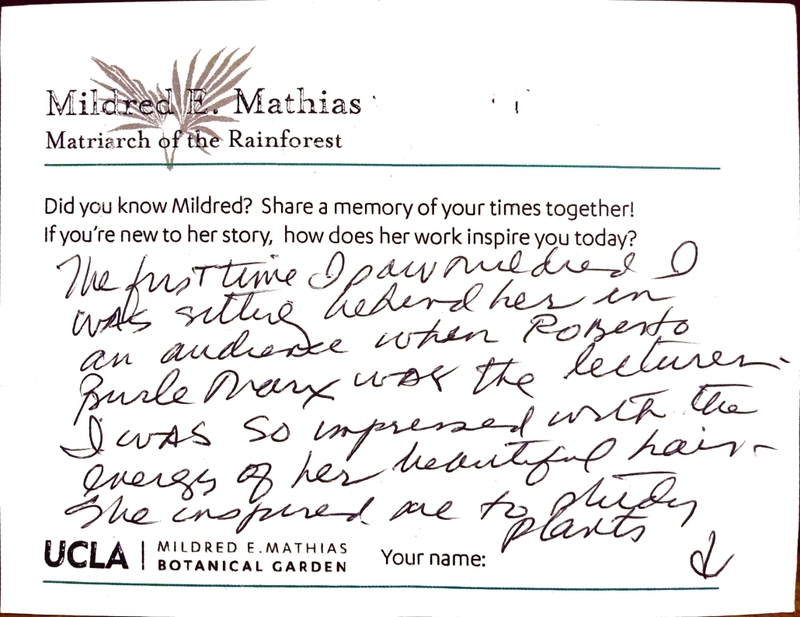 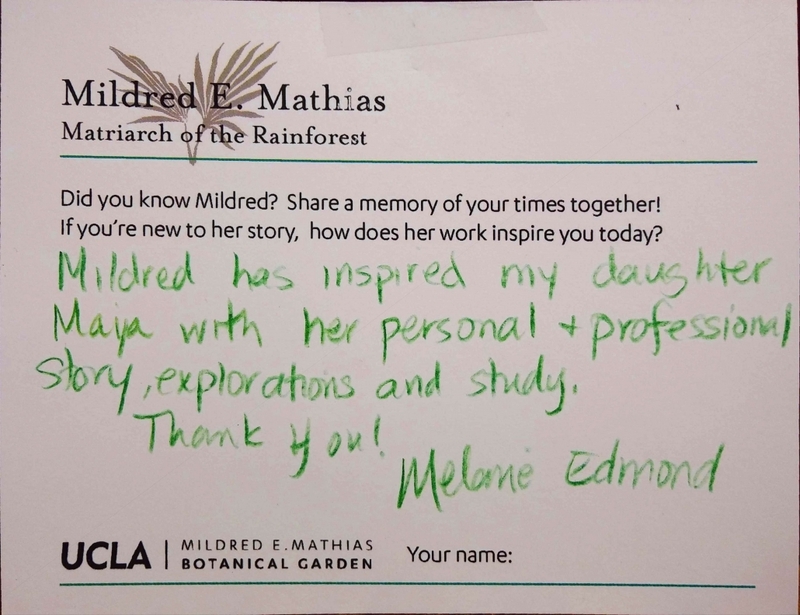 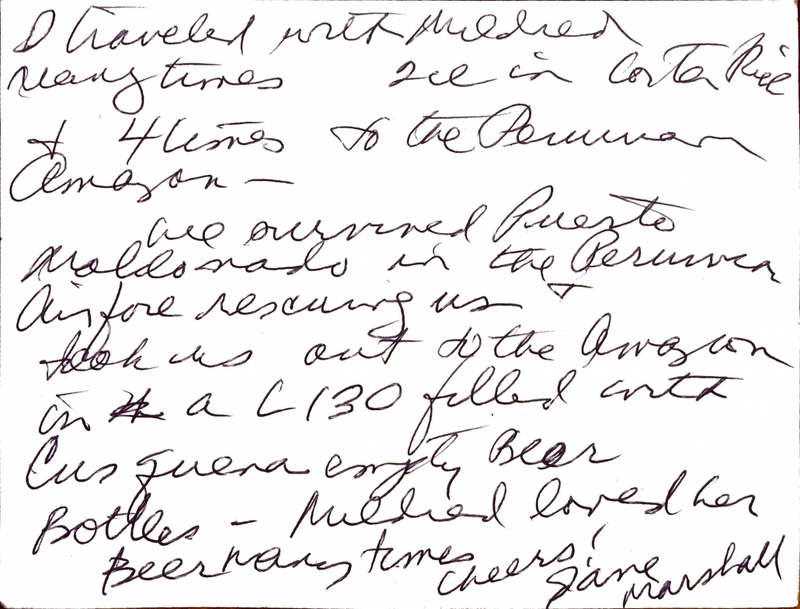 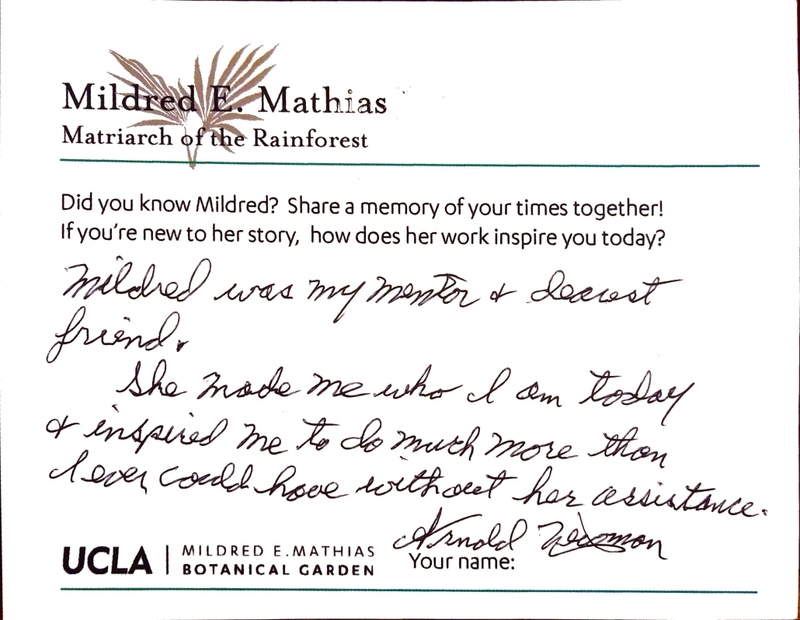 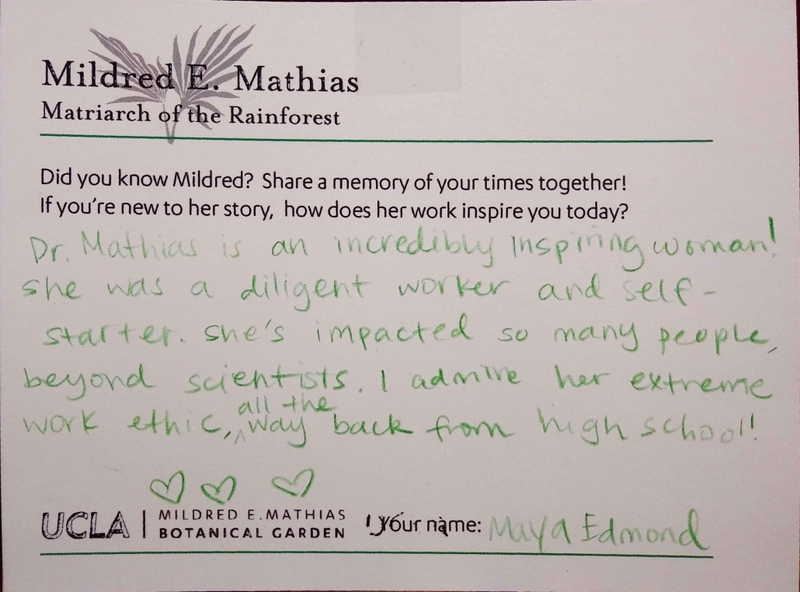 Below are featured a selected few of personally written postcards from people inspired by Dr. Mildred E. Mathias who attended our event “Matriarch of the Rainforest” occurring March 7, 2019 at the La Kretz Garden Pavilion. 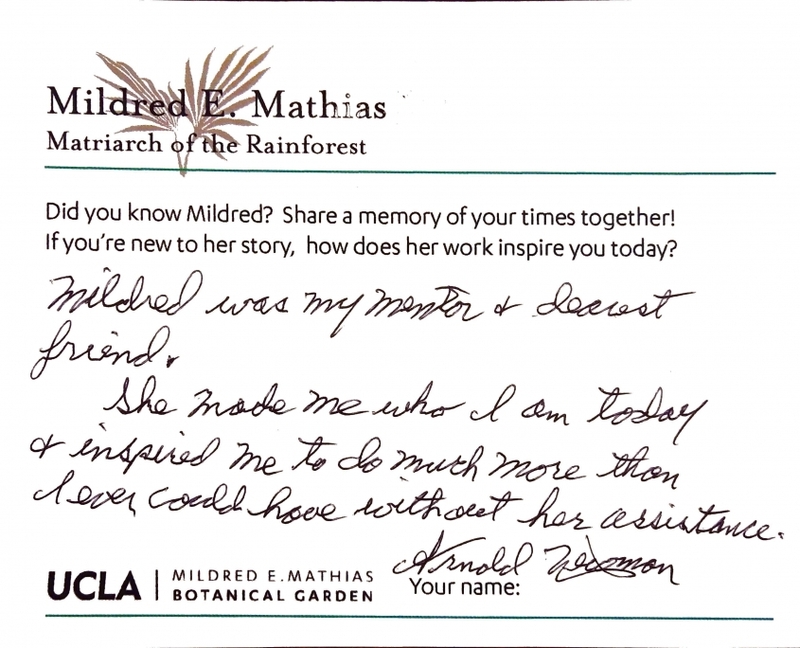 Share your memories of Mildred with us! 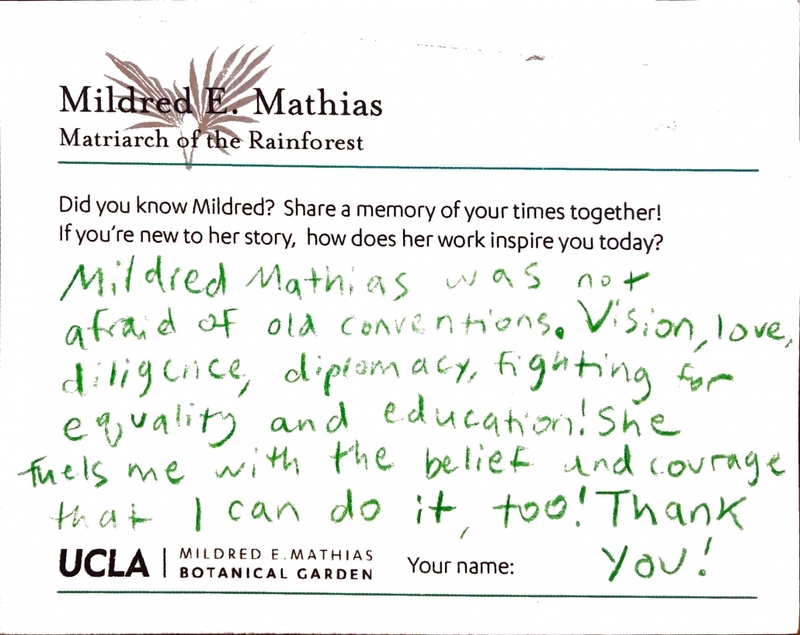 Fill out this form and help this archive grow.